This is why it is so hard for me to write this book. I have to make great efforts to imagine my characters and then to make them talk, as I find them profoundly repulsive. But when I write something from my guts, it goes fast. However, there lies the danger. When one writes something of oneself, the sentence can be good in spurts (and lyrical minds achieve their effects easily and by following their natural inclinations), but the total composition fails, repetitions abound, redundancies, platitudes, banal phrases. On the contrary when one writes something imagined, since everything must flow from the conception, and the smallest comma depends upon the general plan, the attention bifurcates. One must keep the horizon in sight and at the same time look at one’s feet. These were the words of the great French novelist Gustave Flaubert, expressed in a letter to his close friend Loius Bouillet in 1855. Very few writers possess the elevated style and the rigorous craft that Flaubert brought to the novel. The genius who penned great novels like Madame Bovary (1857) and Sentimental Education (1869) toiled like no other to craft his sentences. In the age of ‘instant bestsellers’ and ‘superstar’ writers who peddle shallow stuff, be it in the form of silly ‘romances’ or dimwitted ‘action thrillers’ whose plots would reduce their readers to imbecility, one wonders at the strange fate that has befallen the craft of writing a novel. Flaubert was himself disappointed with the works of his French contemporaries. His displeasure was spelt out in his letter to the great Russian novelist, Ivan Turgenev. 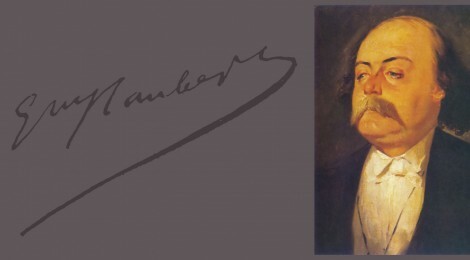 Flaubert writes – “I can no longer talk with anyone at all without becoming furious, and everything I read by my contemporaries makes me quiver with indignation.” A novel becomes great and timeless due to a variety of reasons – its plot, its social relevance and its style. For Flaubert prose style mattered the most. He would demonstrate this with his greatest novel Madame Bovary, which remains one of the most perfect novels ever written. His greatest work Madame Bovary was first serialized in the literary journal La Revue de Paris in 1856. The story of an adulteress in provincial France created a scandal which shook the moral foundations of French society. State prosecutors dragged the writer to court on charges of obscenity. Flaubert was acquitted in the trial and the novel became a huge success. The protagonist Emma Bovary is trapped in her labyrinth of unsatiable desires and Flaubert’s exquisite skill brings her to life. She possesses an idealism that is fatalistic. She is incapable of ever finding a love that will match her expectations. She is easily bored, even by the sight of her own child. The usual moral categories are absent when dealing with the subject of adultery. Emma cries with delight after her first encounter with her lover – “I have a lover! A lover!” There is no sense of shame or regret over this act. This is in stark contrast to Leo Tolstoy’s Anna in Anna Karenina, which also deals with the subject of adultery. Anna who is in love with Count Vronsky, decides to leave her husband’s home, but constantly pines for her son. Anna is portrayed as a compassionate human being who cannot be indifferent to the sorrows of others. On the other hand Emma can be cruelly indifferent. Never before (or hence) had literature produced such a heroine. The descriptions in the novel are unsurpassable. Take for instance Emma’s disdain for her loyal and dedicated husband Charles – “What exasperated her was that Charles did not seem to notice her anguish. His conviction that he was making her happy seemed to her an imbecile insult, and his sureness on this point ingratitude. For whose sake, then was she virtuous? Was it not for him, the obstacle to all felicity, the cause of all misery, and, as it were, the sharp clasp of that complex strap that bucked her in on all sides.” Emma scorns at his pitiable attempts to please her. On him alone, then, she concentrated all the various hatreds that resulted from her boredom, and every effort to diminish only augmented it; for this useless trouble was added to the other reasons for despair, and contributed still more to the separation between them. Her own gentleness to herself made her rebel against him. Domestic mediocrity drove her to lewd fancies, marriage tenderness to adulterous desires. She would have like Charles to beat her, that she might have a better right to hate him, to revenge herself upon him. She was surprised sometimes at the atrocious conjectures that came into her thoughts, and she had to go on smiling, to hear repeated to her at all hours that she was happy, to pretend to be happy, to let it be believed. Very few writers have ever been able to capture a woman’s inner thoughts so sublimely. Flaubert spent days trying to write a single page, often rejecting much more material than he used. This painstaking effort involved in crafting a novel explains why his literary output was not as prodigious as that of other French novelists, like Balzac, who almost wrote a novel a year. Writing Madame Bovary was a challenge Flaubert had set for himself. He wanted to transform his writing style. He wanted to prove to the world that he could write well about subjects that he was uninterested in. It is often easier for writers to write on topics they are inspired by. Flaubert actually detested the middle class characters he had depicted in Madame Bovary. In another letter he says –“What I find so difficult are ordinary situations and trivial dialogue. To write the mediocre beautifully, and at the same time to have it retain its aspect, its shape, its very words, that is truly diabolical, and I am faced now with the perspective of these delights for at least thirty pages. One has to pay dearly for style.” Flaubert chose the actual incident of a suicide of a provincial doctor’s wife to write his novel, something he was indifferent to. Madame Bovary remains a timeless classic which influenced many great novelists like James Joyce, Henry James and Orhan Pamuk. Flaubert’s dedication to the craft of writing ought to inspire the current generation of writers. It will be a hard act to emulate. Arvind Radhakrishnan teaches in a law college in Bangalore. He has published articles in various academic journals and newspapers. Arvind adores Russian and French literature.